Transformers #1 Review: The Beginning of the End! How did Cybertron fall into civil war and eventual ruin? How did Megatron become the leader of the Decepticons? How did Orion Pax ultimately become Optimus Prime? Fans of the Transformers have been asking these questions for years. There have been several different explanations to these questions, and they have all left fans more confused. Enter IDW’s new Transformers series. This new ongoing series is set to deliver a seamless and entertaining explanation of how the Transformers we all know and love came to be. This new comic focuses on a handful of familiar characters before the Cybertronian civil war and the war for Earth. 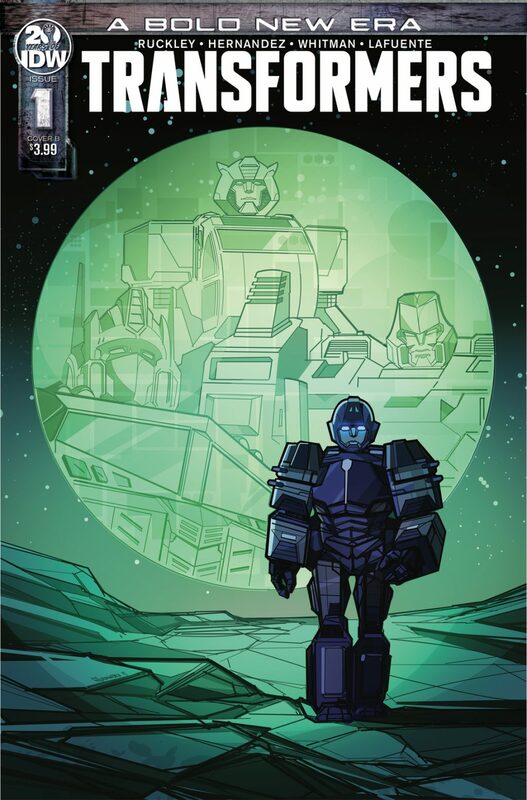 The still beautiful world of Cybertron is being shown to readers through the eyes of the newly forged Autobot Rubble who is being mentored by Bumblebee. Orion Pax (before he was Optimus Prime) is shown struggling with a rising rebellion being orchestrated by his fellow Senator Megatron. IDW made a great choice making Brian Ruckley the writer for this new series. His take on the early days of a war that will span centuries offers a fascinating insight into its beginnings and why it started. His portrayal of Orion and Megatron as frenemies growing further apart lays the groundwork for what is to come. I also enjoyed the artwork. Artists Angel Hernandez and Cachet Whitman share duties in the pages of this first issue. Their take on the Transformers is reminiscent of the 1980’s series, which I loved. The character design is similar to that time, which makes this series even more appealing. This first issue also has a large variety of fantastic variant covers. From black and white covers to poster-worthy covers, there is a little something for everyone. A fun and exciting telling of the road to the biggest war in the universe. I am sold! Looking forward to the second issue!